2 CDC Strategic Imperatives 1. 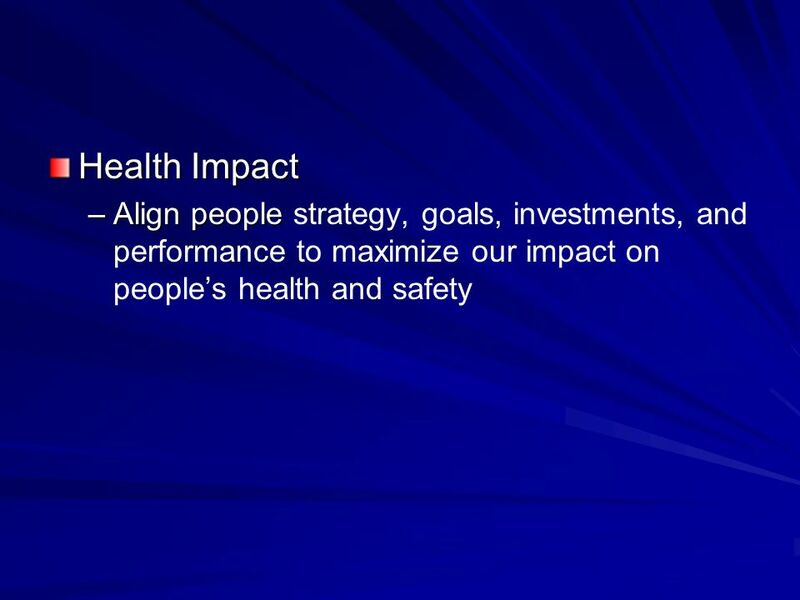 Health impact focus: Align CDCs people, strategies, goals, investments & performance to maximize our impact on peoples health & safety. 2.Customer-centricity: Market what people want & need to choose health. 3.Public health research: Create & disseminate the knowledge & innovations people need to protect their health now & in the future. 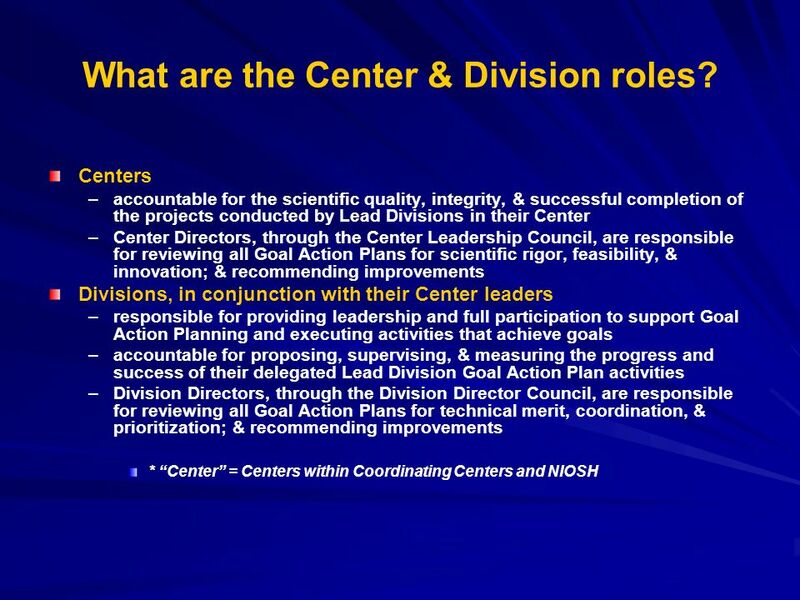 4.Leadership: Leverage our unique expertise, partnerships, & networks to improve the health system. 5.Global health impact: Extend our knowledge & tools to promote health protection around the world. 6.Accountability: Sustain peoples trust & confidence by making the most efficient & effective use of their investments in us. 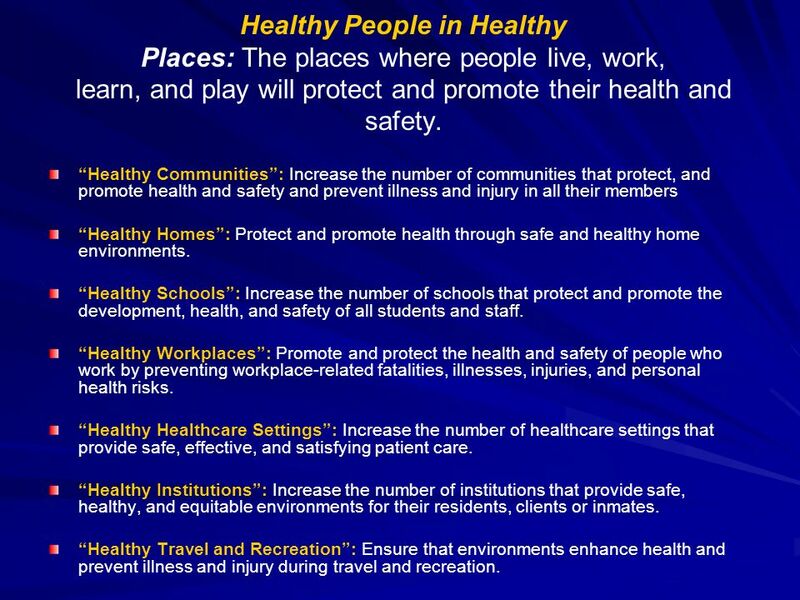 5 Healthy People in Healthy Places: The places where people live, work, learn, and play will protect and promote their health and safety. 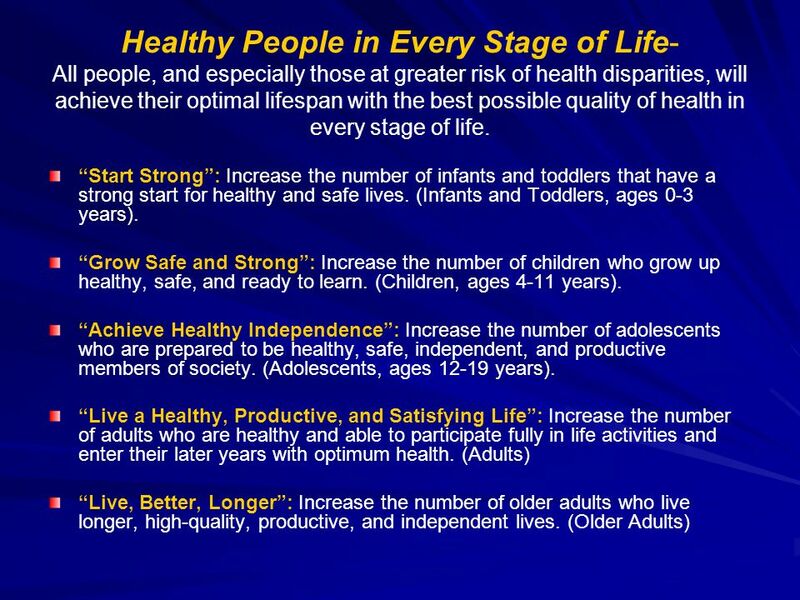 Healthy Communities: Increase the number of communities that protect, and promote health and safety and prevent illness and injury in all their members Healthy Homes: Protect and promote health through safe and healthy home environments. Healthy Schools: Increase the number of schools that protect and promote the development, health, and safety of all students and staff. Healthy Workplaces: Promote and protect the health and safety of people who work by preventing workplace-related fatalities, illnesses, injuries, and personal health risks. Healthy Healthcare Settings: Increase the number of healthcare settings that provide safe, effective, and satisfying patient care. Healthy Institutions: Increase the number of institutions that provide safe, healthy, and equitable environments for their residents, clients or inmates. Healthy Travel and Recreation: Ensure that environments enhance health and prevent illness and injury during travel and recreation. 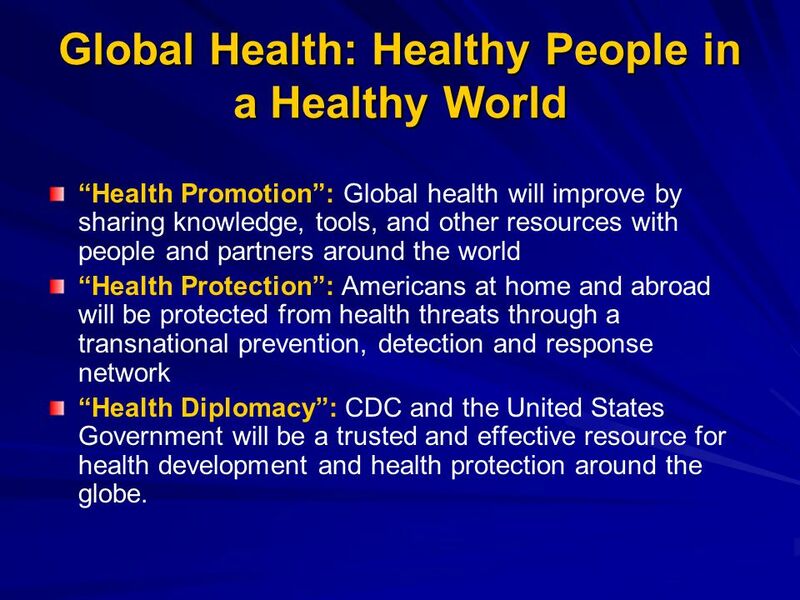 6 Global Health: Healthy People in a Healthy World Health Promotion: Global health will improve by sharing knowledge, tools, and other resources with people and partners around the world Health Protection: Americans at home and abroad will be protected from health threats through a transnational prevention, detection and response network Health Diplomacy: CDC and the United States Government will be a trusted and effective resource for health development and health protection around the globe. 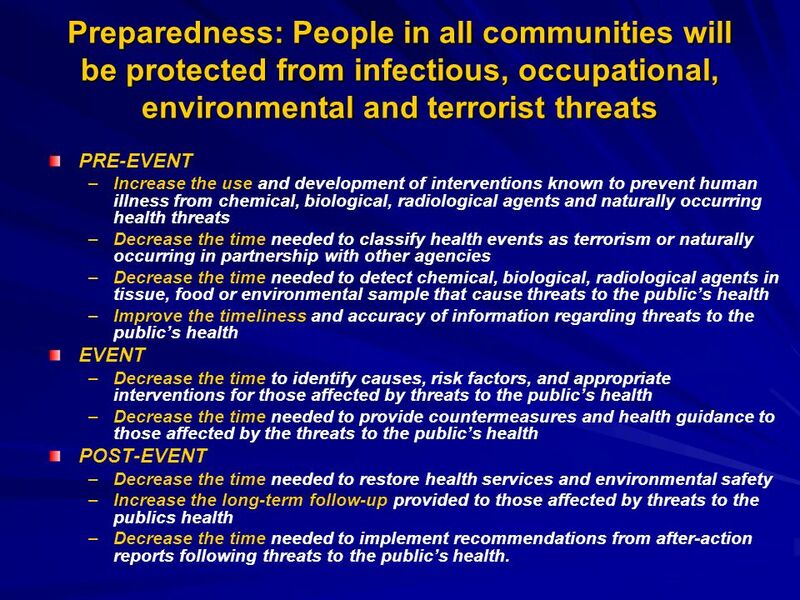 7 Preparedness: People in all communities will be protected from infectious, occupational, environmental and terrorist threats PRE-EVENT – –Increase the use and development of interventions known to prevent human illness from chemical, biological, radiological agents and naturally occurring health threats – –Decrease the time needed to classify health events as terrorism or naturally occurring in partnership with other agencies – –Decrease the time needed to detect chemical, biological, radiological agents in tissue, food or environmental sample that cause threats to the publics health – –Improve the timeliness and accuracy of information regarding threats to the publics health EVENT – –Decrease the time to identify causes, risk factors, and appropriate interventions for those affected by threats to the publics health – –Decrease the time needed to provide countermeasures and health guidance to those affected by the threats to the publics health POST-EVENT – –Decrease the time needed to restore health services and environmental safety – –Increase the long-term follow-up provided to those affected by threats to the publics health – –Decrease the time needed to implement recommendations from after-action reports following threats to the publics health. 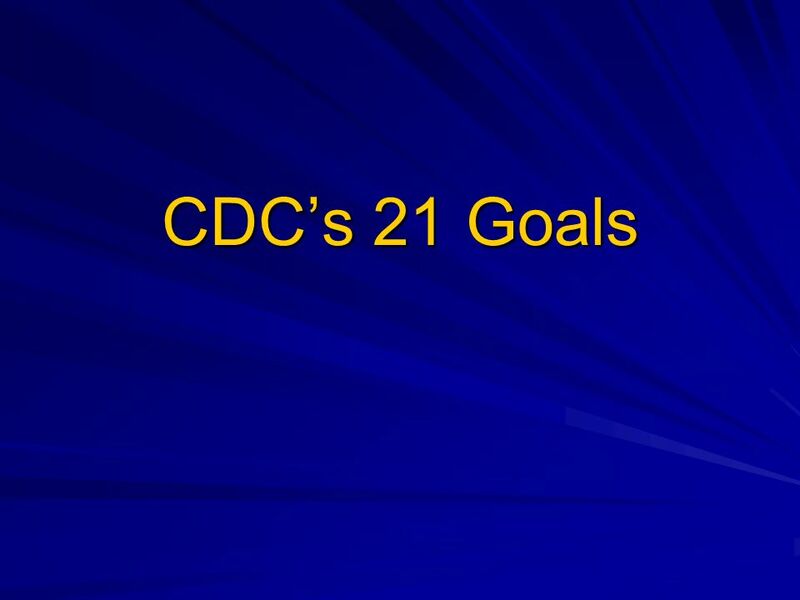 Download ppt "CDCs 21 Goals. 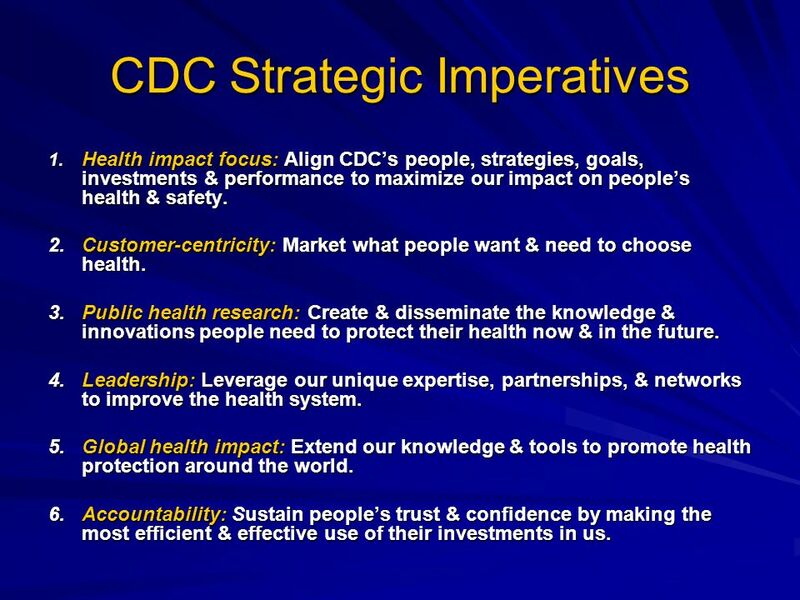 CDC Strategic Imperatives 1. 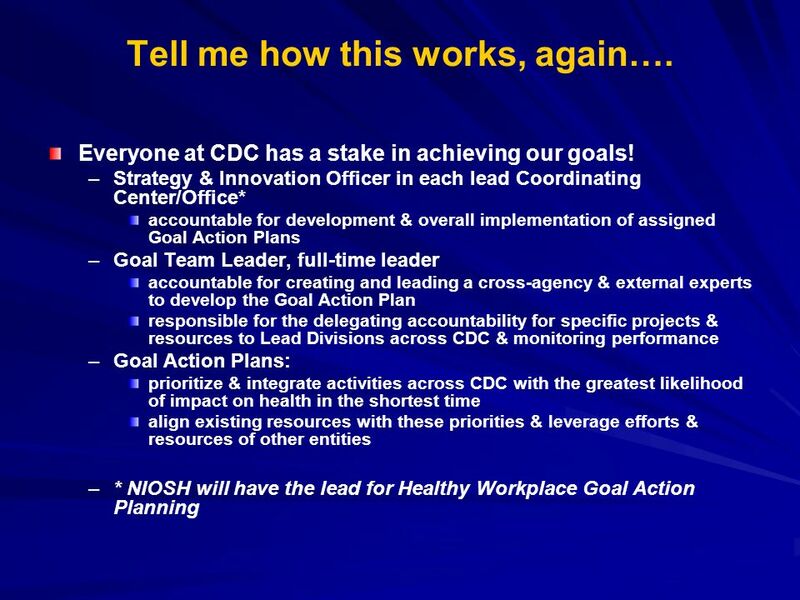 Health impact focus: Align CDCs people, strategies, goals, investments & performance to maximize our impact." Derby Hospitals moving forward in the 21 st Century …. Dianne Prescott, Director of Strategy & Partnerships Future Strategy. National Perspective of Healthy People 2020 Penelope Slade-Sawyer, P.T., M.S.W. HHS Office of Disease Prevention and Health Promotion 18 th Annual Healthy. The Future The Futures Initiative: Achieving Health Impact. 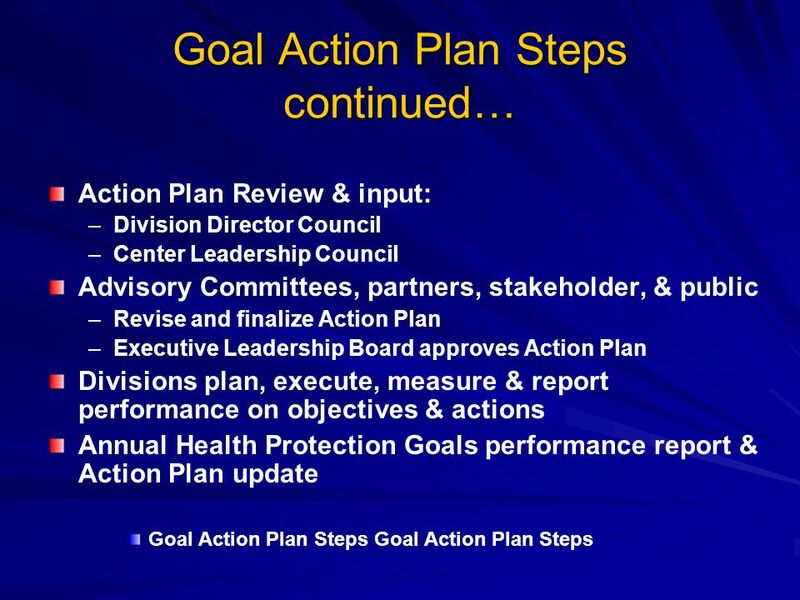 CONNECTICUT SUICIDE PREVENTION STRATEGY 2013 PLANNING NINA ROVINELLI HELLER PH.D. UNIVERSITY OF CONNECTICUT. Building a Foundation for Community Change Proposed Restructure 2010. 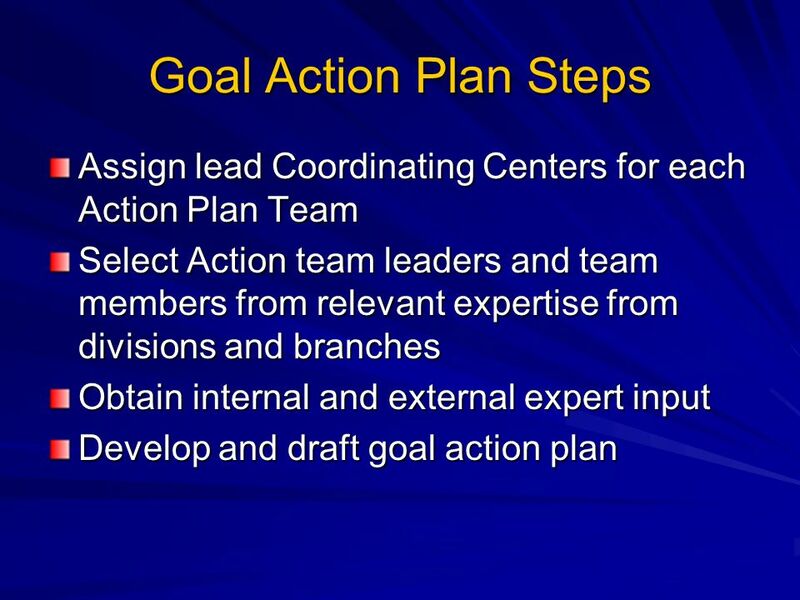 1 An Introduction to Collaboration Louis Rowitz, PhD Director Mid-America Regional Public Health Leadership Institute. Office of Adoption and Child Protection Executive Office of the Governor The Florida Children and Youth Cabinet Barbara Foster, Deputy Chief Child Advocate. Slide 1 Working Together to Enhance Public Health Capacity in Communities Sharunda Buchanan, M.S., Ph.D. Division of Emergency and Environmental Health.